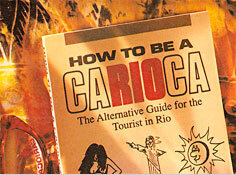 When not catching waves off Barra beach or strumming his guitar, Carlos “Carlão” Carneiro can be found strapped into a cockpit in either Brazil, England, or the United States risking his neck as a race car driver. Currently Carlão is manager of the Indoor Kart World Championship series. He lives in Arizona with his wife and son.